Shoplifting, or as it is referred to under Utah Statute, “Retail Theft,” can be deemed to have occurred under a number of different scenarios; however, they all have one thing in common: intent. Specifically, a prosecutor has to prove that you knew you were shoplifting, and it was your intent to steal or pay less then the proper amount for the item. It is a defense to the charge if the act was accidental or unknowing. For example, if you were unaware that an item was under the bottom of your shopping cart, and your attorney was able to convince a jury of this fact, you would be found not guilty. As another example, if you purchased an item not knowing it had an incorrect price tag that was for a lower price, and your attorney was able to convince a jury of this fact, you would be found not guilty. The fines and possible jail time for theft and shoplifting depend on the value of the items and prior convictions. For a first offense, a class B misdemeanor would be filed in cases with a value of less then $500 dollars, with a maximum jail term of 180 days. A class A misdemeanor would filed in a case with a value of up to $1,500 dollars and could result in jail term of up to one year. For cases involving amounts in excess of $5000, charges would filed at the felony level and could result in years of prison. Fines for shoplifting follow a similar pattern. Retail theft, or shoplifting, is also an enhanceable offense, meaning that if person has two prior shoplifting convictions in the preceding ten year period, the third offense would be charged as a felony regardless of the values involved, and there exists the very real possibility of prison, even for an item worth less than $10 dollars. Believe it, we’ve defended them. Utah Code 76-6-602 deals with the issue of retail theft, or shoplifting. Contact our office if you face charges of this nature. 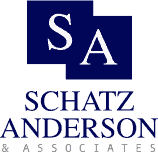 At Schatz, Anderson & Associates, LLC, our lawyers have extensive experience defending clients charged with the crime of burglary. We have defended clients accused of breaking into a home, breaking into a business or breaking into an unoccupied home. Our attorneys have more than 40 years’ combined experience with criminal law. We emphasize providing a true defense on our clients’ behalf. This means conducting an independent investigation and taking the case all the way to a trial if we believe a trial is in our client’s best interests. We do not believe in accepting a plea bargain unless it really is the best option, given our client’s particular circumstances and goals.